This post was sponsored by Alaska Seafood as part of an Influencer Activation for Influence Central and all opinions expressed in my post are my own. 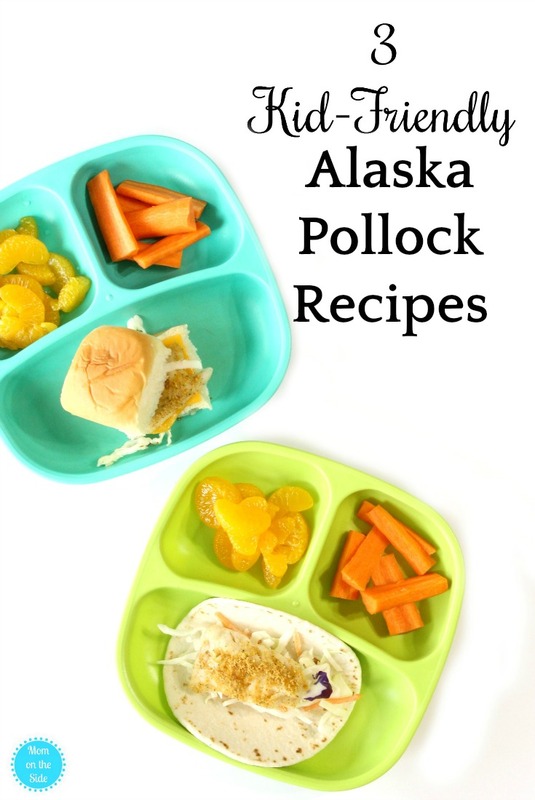 I hope you enjoy these kid-friendly Alaska pollock Recipes! My picky children have gotten tired of the few dishes they enjoy. Go figure. 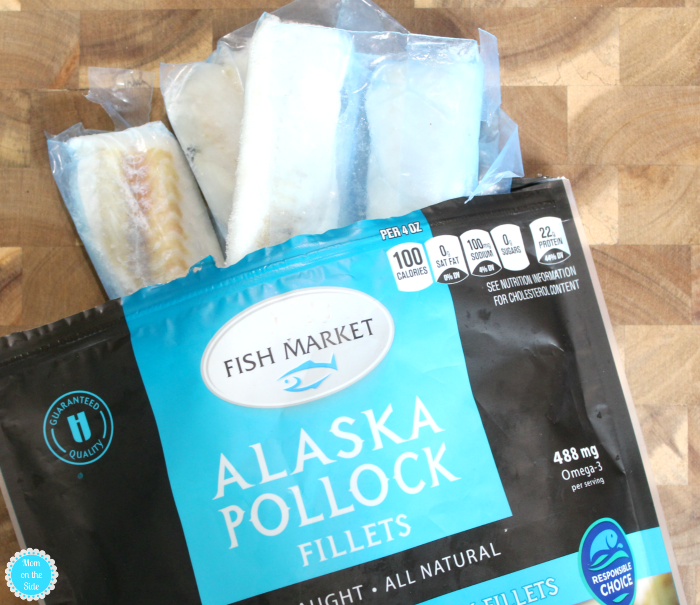 I’ve been trying new things the last few weeks and while checking out the seafood section at the local grocery store some wild-caught Alaska pollock caught my eye. A delicious and easy way for the whole family to eat more seafood and a new fish for all of us to try. Never trying pollock before I decided to go with some of my usual salmon recipes. Foil Packet Dinners are one of them because they’re quick with very little mess to clean up. 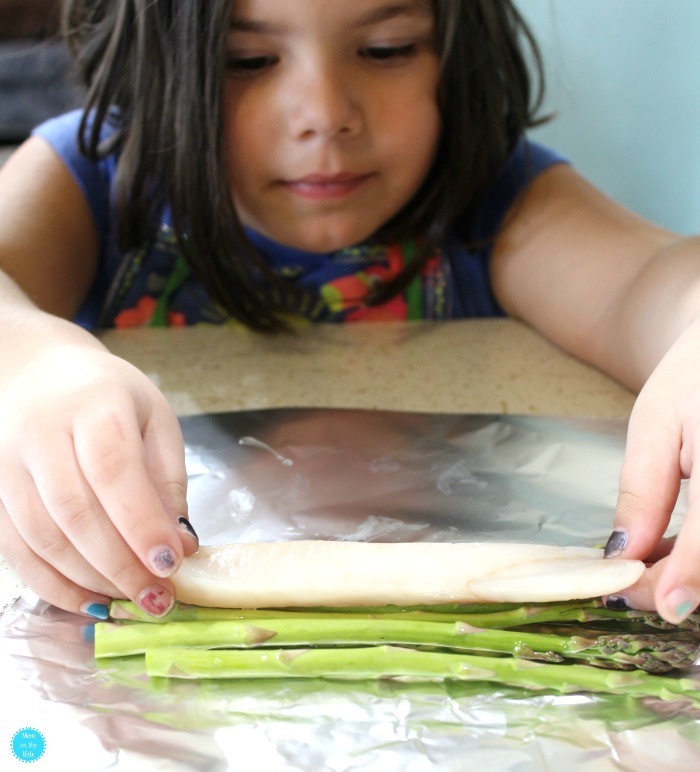 The twins helped me lay out asparagus spears onto foil and then we placed Alaska pollock fillets and slices of lemon on top. Pinch the foil together on the top and sides, then bake at 350 for 20-25 minutes. 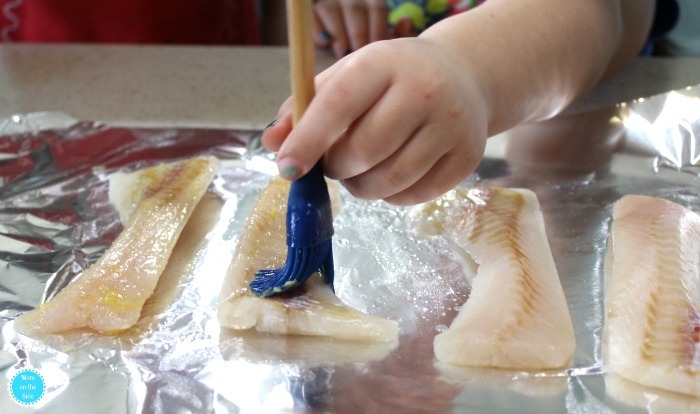 Breaded Alaska pollock is another great way to get kids to try fish. Plus, it’s one kids will want to help make when the basting brush comes out! 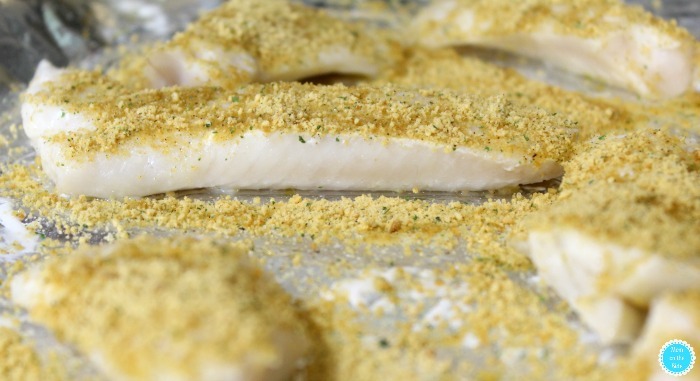 This breaded pollock actually got used two ways but first I’ll tell you how we made it. 1/4 cup breading – I used a parmesan cheese breading but you can use any kind you would like. Combine melted butter, lemon juice, and garlic powder in a bowl. Place pollock fillets upside down on a baking sheet covered in foil. Brush the mixture all over the bottom of the pollock. Broil bottom side up for 5 minutes then flip them over and cover the top of each fillet with breading. Place back in the oven and broil for another 5 minutes. Let me tell ya, the family is lucky any of the breaded pollock made it on their plates. SO good! I’m not quite sure I’ve ever had fish caught in Alaska’s cold pristine waters but after trying this I can see why they produce the purest, high-quality seafood. 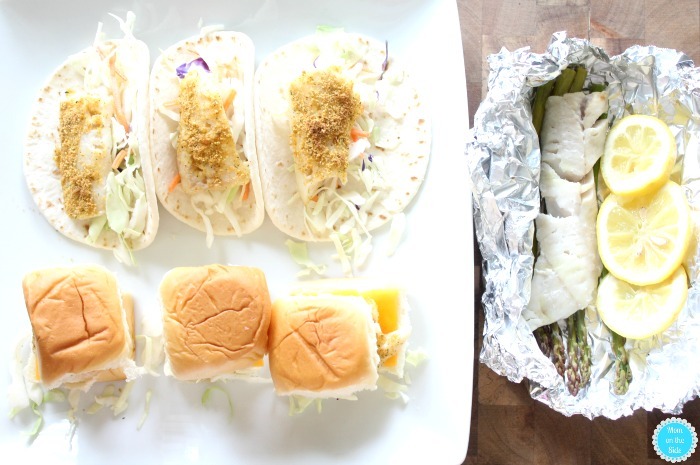 Perfect for pollock street tacos and pollock sliders! 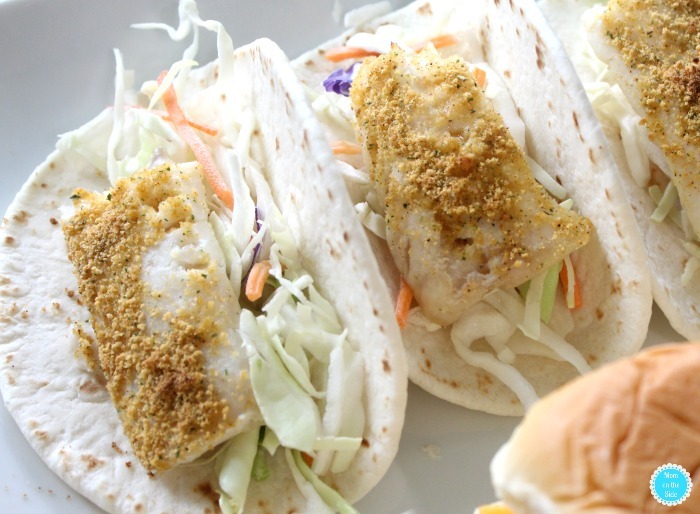 The Alaska pollock street tacos are street taco shells and coleslaw paired with breaded pollock fillets. 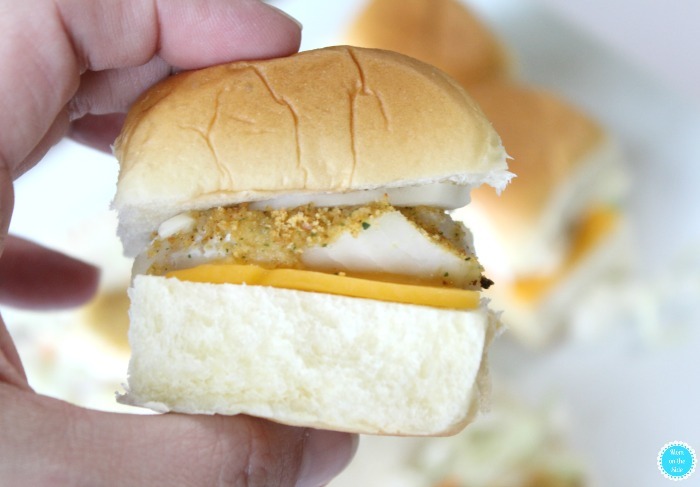 For the Alaska pollock sliders I used slider buns with a slice of cheddar cheese on the bottom and coleslaw on top of the breaded pollock fillet pieces. The coleslaw has just the right amount of crunch to bring everything together. Are you drooling? I am again as I type this! Good thing Alaska whitefish varieties are sold fresh and frozen year-round for a wide-range of seafood possibilities and healthful options. For more Alaska seafood recipes (like Alaska Pollock Burrito Bowls), cooking techniques, and tips visit www.wildalaskaseafood.com and learn why it is important to “Ask For Alaska” at the seafood counter and in restaurants.